At St Philip Neri, our focus is very much on educating our students for the future. 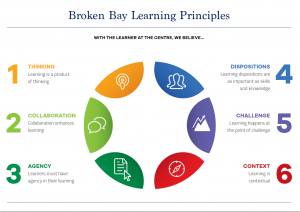 With this in mind, we embed the Broken Bay Learning Principles into our teaching programs. These Principles enable our learners to not only work collaboratively, but to be creative, innovative, deep thinkers who take risks and learn from their mistakes. In addition, our students are given challenging tasks which are meaningful and purposeful.